There are many different ways of researching and identifying UX issues. Michelle Parfitt discusses the joint use of analytics and quantitative methods in UX research. The use of analytics for marketing purposes is well established, but it’s increasingly being used in UX too. The reason is simple: as part of your UX research process, analytics can tell you a lot about how people are behaving on your platform (though it can’t necessarily answer the question, ‘why?’). They reveal people’s natural, ‘real world’ behaviour – not behaviour observed in a test or other research setting. Analytics data is available immediately; the lead time is shorter than with other research techniques. on which page users leave the site. After gathering and analysing the data on the information above, you should start to ask questions like, ‘Are people actually doing what we want them to be doing?’ and, ‘What are the key tasks that users are actually performing on our site?’. You may learn that people using a smartphone spend less time on your website than people using a tablet. Or that they are clicking on a particular form field multiple times, and that the form is not as easy or seamless to fill out as intended. These valuable analytics insights can reveal key usability issues that you may not otherwise have been aware of. However, analytics won’t be able to paint the full picture and sufficiently explain why they are problems. You will need the ‘why’ to find and implement the best solutions. After identifying potential usability issues by using analytics in UX research, it’s time to understand why they are a problem. Moderated user testing, either in context or in a lab, is a good first port of call. Analytics insights will allow you to craft testing scenarios for participants that reflect real life behaviours. You can then observe people using your platform, and ask them follow up questions to unpick why they think or act in a certain way. And once you understand the ‘why’, you are in a better place to create design solutions that address user issues. Although user testing works with much smaller sample sizes than analytics, the vast majority of usability issues will arise even when testing with only 5-8 people. Just one round of user testing is often enough to answer the ‘why’ questions you initially had. 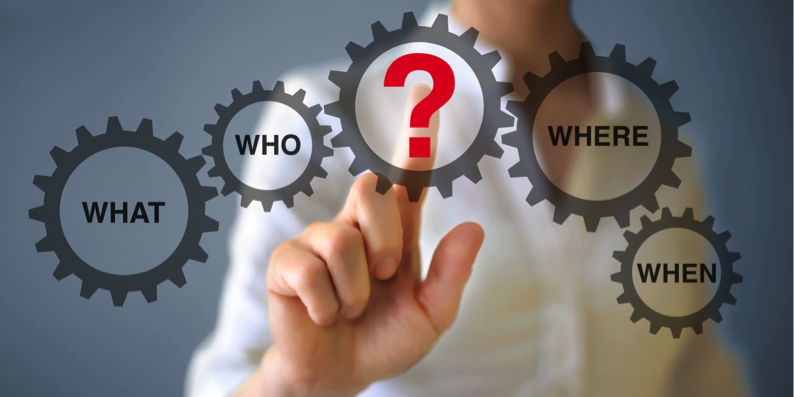 Other qualitative research methodologies such as diary studies, in depth interviews and focus groups can also be guided by findings from analytics in order to steer the research in the right direction and help answer the ‘why’ questions which were thrown up by analytics. Looking at demographics data on who uses your site may also be a useful consideration when deciding on recruitment criteria. After applying what you have learnt about your platform from the qualitative insights gained, you can study your analytics again to see how, if at all, any changes to the platform have impacted your users’ behaviour (on a large scale). This in turn may provoke more ‘why’ questions to unpick with qualitative research. This cyclical and iterative process will help you to get the best out of both methodologies whilst working towards an increasingly better user experience. 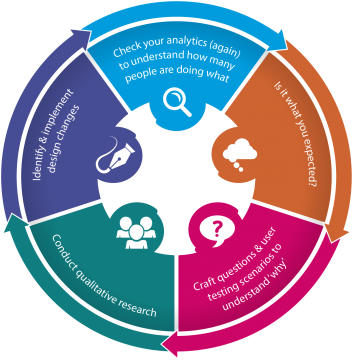 Contact us for expert advice on using qualitative research to enhance your analytics data.